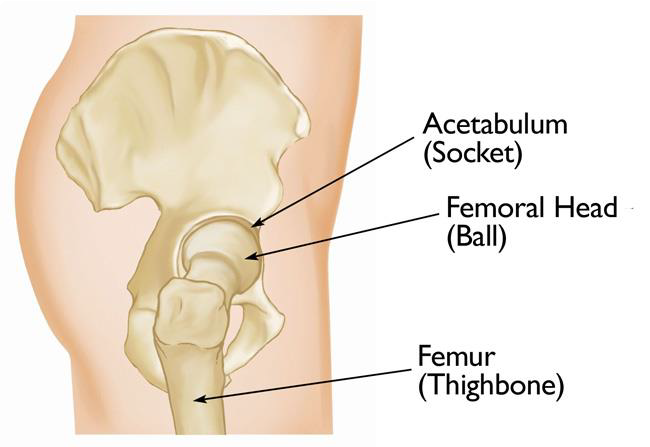 An acetabular fracture is a break in the socket portion of the "ball-and-socket" hip joint. Acetabular fractures are not common — they occur much less frequently than fractures of the upper femur or femoral head (the "ball" portion of the joint). The majority of acetabular fractures are caused by some type of high-energy event, like a car accident. Many times patients will have additional injuries that require immediate treatment. In a smaller number of cases, a low-energy incident, such as a fall, may cause an acetabular fracture in an older person who has weaker bones. The bone surfaces of the ball and socket are covered with articular cartilage—a smooth, slippery substance that protects and cushions the bones and enables them to move easily. Bands of tissue called ligaments connect one bone to another. These ligaments help provide both function and stability to the hip joint, allowing it to move without falling out of the socket. Major nerves, blood vessels, and portions of the bowel, bladder, and the reproductive organs all pass within or close to the pelvis. These structures can occasionally be damaged as the result of an injury to the acetabulum. Acetabular fractures vary. For example, the bone can break straight across the socket or shatter into many pieces. 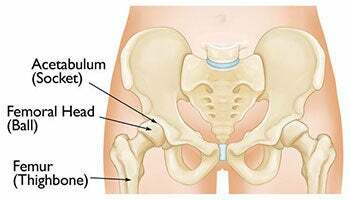 When the acetabulum is fractured, the femoral head may no longer fit firmly into the socket, and the cartilage surface of both bones may be damaged. If the joint remains irregular or unstable, ongoing cartilage damage to the surfaces may lead to arthritis. How is the severity of an acetabular fracture measured? The number and size of the fracture fragments. The amount each piece is out of place — In some cases, the broken ends of bones line up well; in more severe fractures, there may be a large gap between the broken pieces, or the fragments may overlap each other. The injury to the cartilage surfaces of both the acetabulum and the head of the femur. The injury to surrounding soft tissues, such as muscle, tendons, nerves, and skin.